The Allegro Air Filtration Panels convert shop air used for pneumatic tools and equipment to clean breathable air. They provide from 1 to 8 airline respirators a portable high-pressure air source of up to 15, 30, 60 or 100 CFM of breathable air from 5-125 psig. The 3-stage filtration system purifies compressed air removing water, oil and particulate contaminants. An optional carbon monoxide monitor is available which can be operated in AC or DC mode (9-volt akaline battery) and activates an audible alarm when the concentration of CO exceeds 10 ppm (set for 5 ppm in Canada). 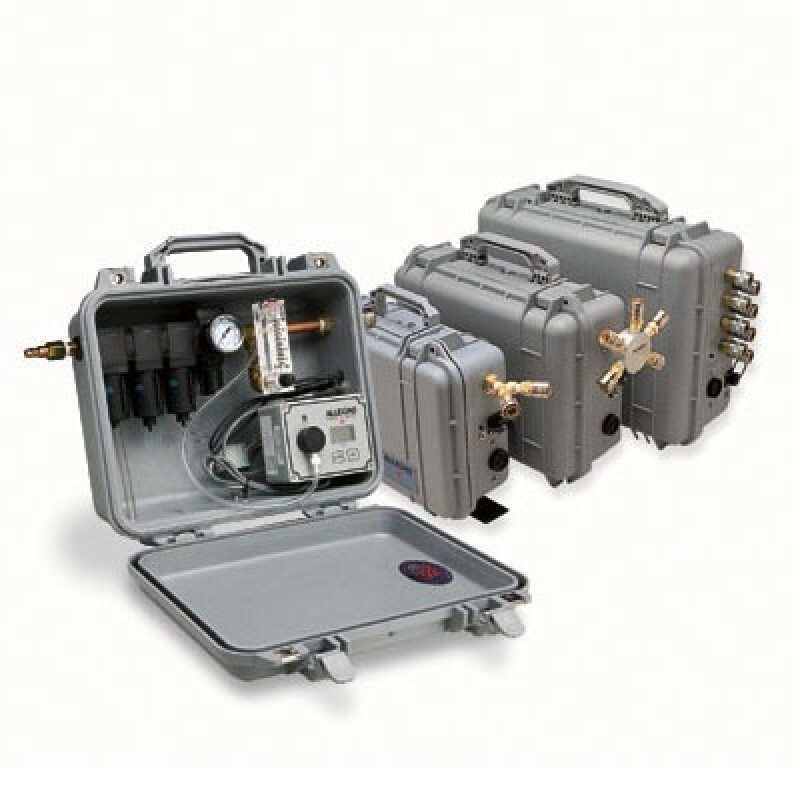 The pressure regulator includes a pressure gauge and adjustment knob with locking ring. An adjustable pressure relief valve protects the CO monitor and respirators in the event of regulator failure. 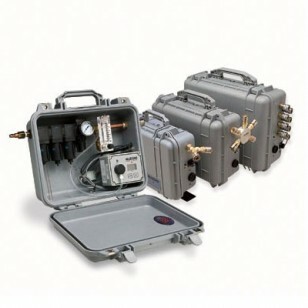 The Carry-Air AC/DC-powered unit is housed in a rugged Pelican case for portability and protection. It includes a support stand for stability and up-right operation. All models meet NIOSH requirements for point-of-attachment.